If you’d believe it, our month in Kotor, Montenegro was kind of a last minute decision. We actually booked our Airbnb in an airport on our way to Croatia. Anyway, we were glad we went because Kotor, and the bay that shares its name, were some of the most amazing places we have been. We climbed the stoney mountains, we sailed the blue waters and we wandered the quiet alleys of the old town. Some people make a day trip out of Kotor, but we could have spent another month and still enjoyed ourselves. One of the best things we did while we were in Montenegro was take a day trip by boat in the Bay of Kotor. In addition to amazing scenery on the water, we disembarked on the man made island called Our Lady of the Rocks, and in the small and famously scenic village of Perast. In this article we talk about how to book a boat, how much control we had on the tour, and what it was like at both locations in March. Plus, everything in the Bay of Kotor is gorgeous, so we have lots of photos to share as well. 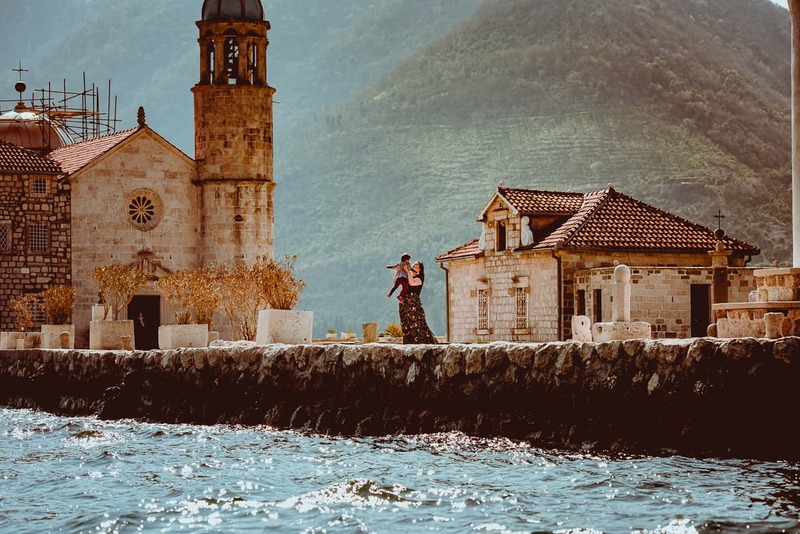 Probably the most iconic sight in Kotor is the amazing Our Lady of Remedy, a small stone church, perched high above the tiny and beautiful old town. Between us, we climbed up there three times during our stay there in March, and it provided us with some of the best photography we’ve ever taken. You can enjoy our pictures in this post while you read about what you can expect to find on the mountain. 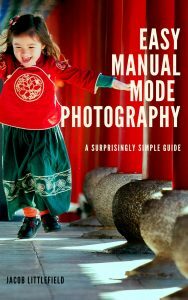 It also has a behind the scenes look at how we took one of our favorite pictures. Another one of our favorite photos was taken right in the waters of the bay of Kotor. In this post we tell you where to find the beach where we took this photo, and how you can plan correctly if it’s something you’d like to try. Warning: in March, the water is really, really cold, so you have to be just as dedicated as Dannie was. That’s right, Lisa’s growing up right before our eyes. This post is a reflection on what it’s like for us to see her turning into a little girl, knowing full well that she won’t remember the home we left to begin our amazing journey together. Meanderbug connects travelers with locals to create slow travel experiences in Montenegro and nearby countries. We met Brit, the companies founder, and he was nice enough to take us on a tour of some of their nearby places. We relaxed in a glamping tent, ate a healthy organic vegetarian lunch, sipped home made wine at a mountainside vineyard, and enjoyed all the beautiful views we could handle. Oh, and Lisa met a goat.